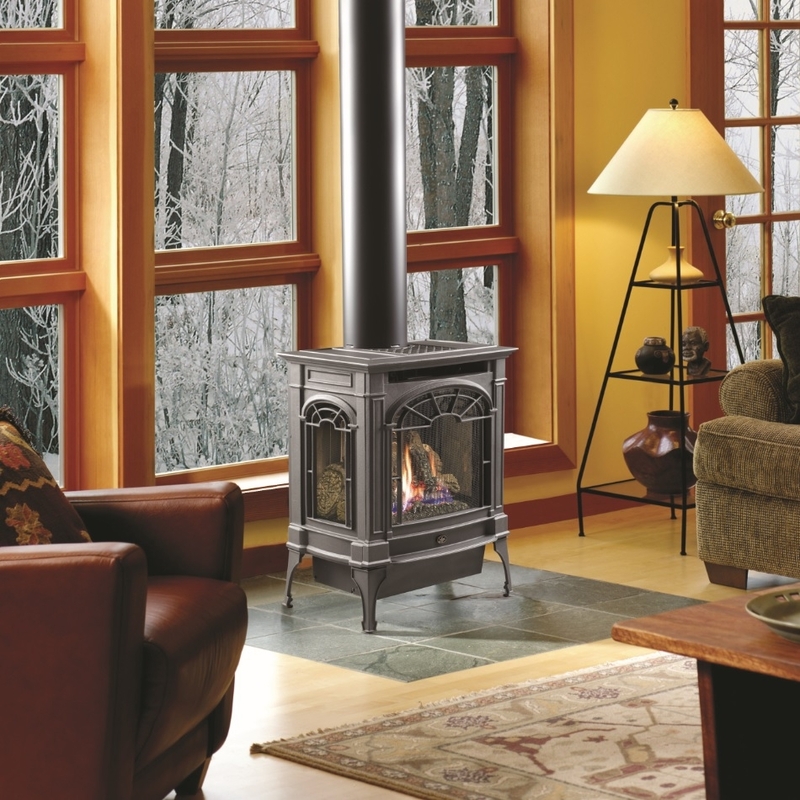 The Northfield cast iron gas stove is a true work of art. It’s classical Early American design and three-side fireview more resembles a piece of fine furniture than a gas stove. Despite its size, the Northfield boast an incredibly large 416 square inches of ceramic glass – which highlights the realistic wood-like from from any angle in the room.